This is a hand made premium Venetian metal mask. Very high quality. 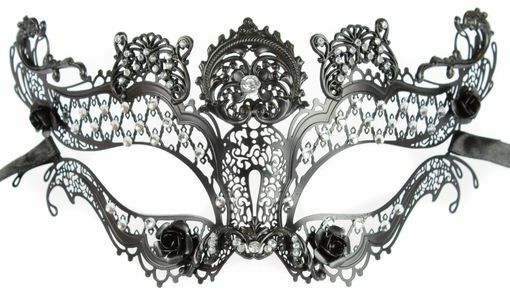 This mask is adorned with rhinestones and metal roses.